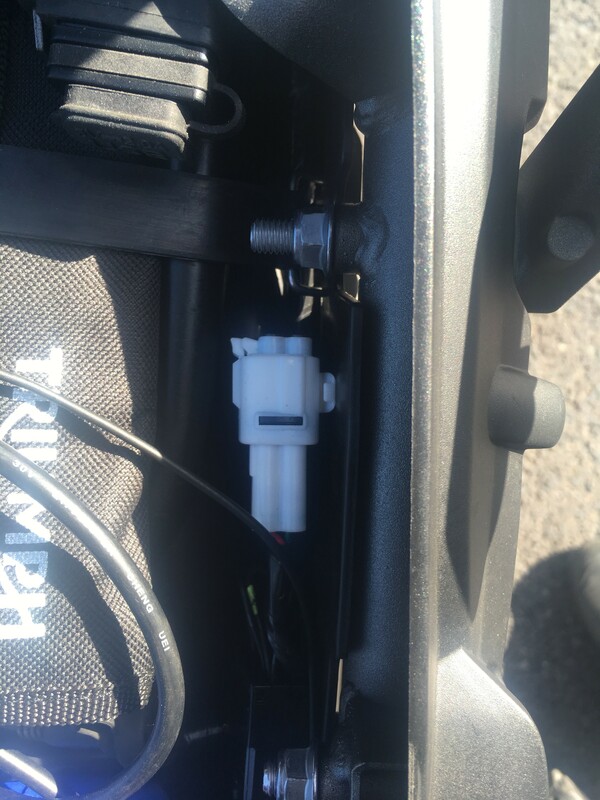 There’s a white electrical connector on the left hand side under the pillion seat on my 2018 Tiger 800 XRT. Does anyone know what it is for? 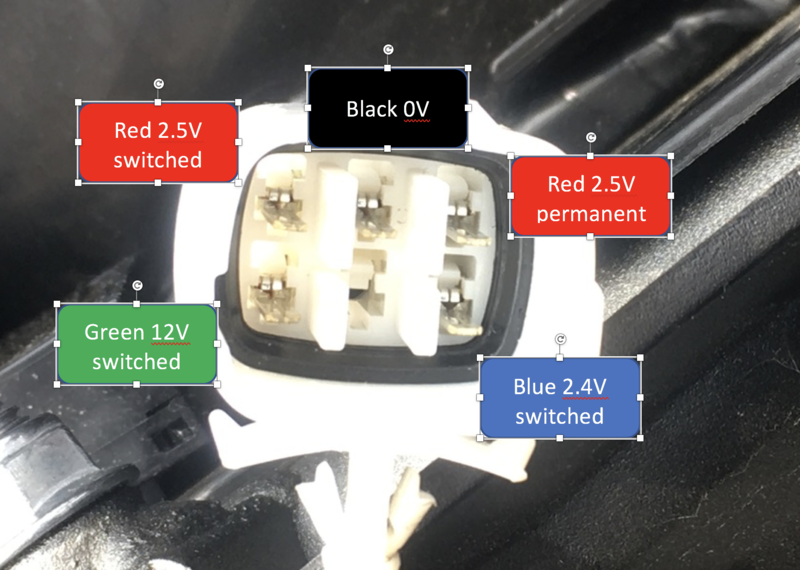 It’s not the ECU diagnostic plug which is on the right. The alarm plug is on the left side but in front of this white one. 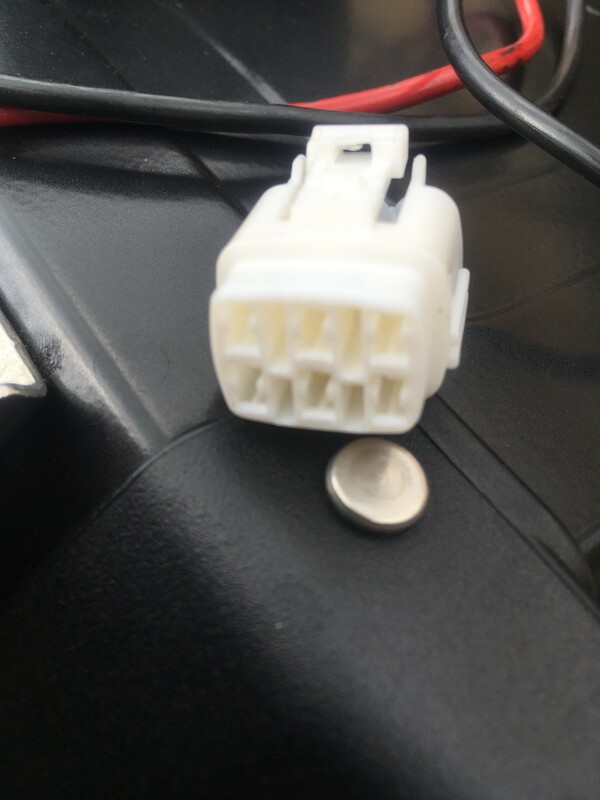 its the connector for the rear heated seat. 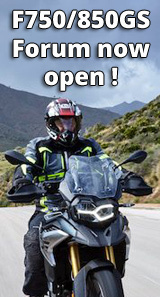 Hi, I’ve got 5he new XRT with heated seats and th3 pillion seat is joined to a black connector located at the rear of the main seat. This one isn’t connected to anything. Number14 ... How many wires does it have and have you checked to see if they are Live/Dead with the Ignition On & Off respectively? 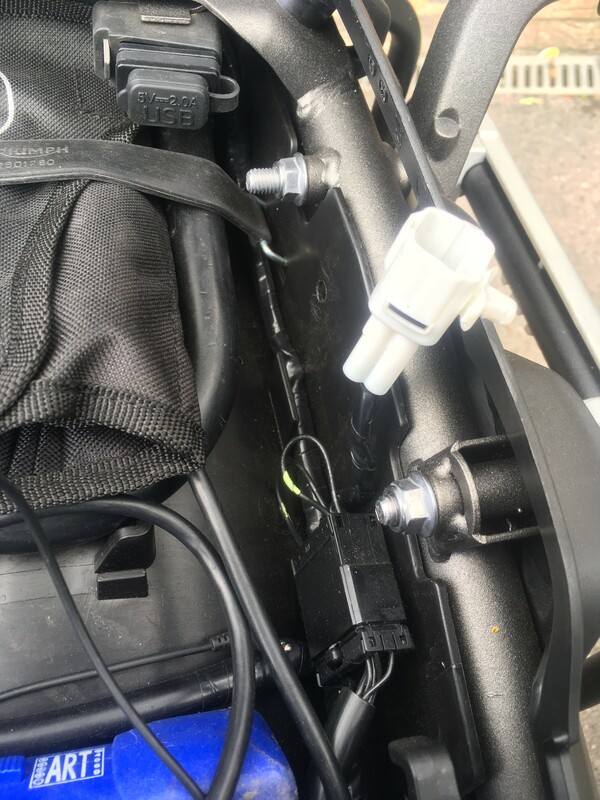 ..... As I've not got a late bike, let alone a 2018 model I can only guess ... is it an Auxiliary hook up ... something for the likes of the listed Under Seat USB Socket? Not underseat usb, wrong connector type, unless they've changed it! 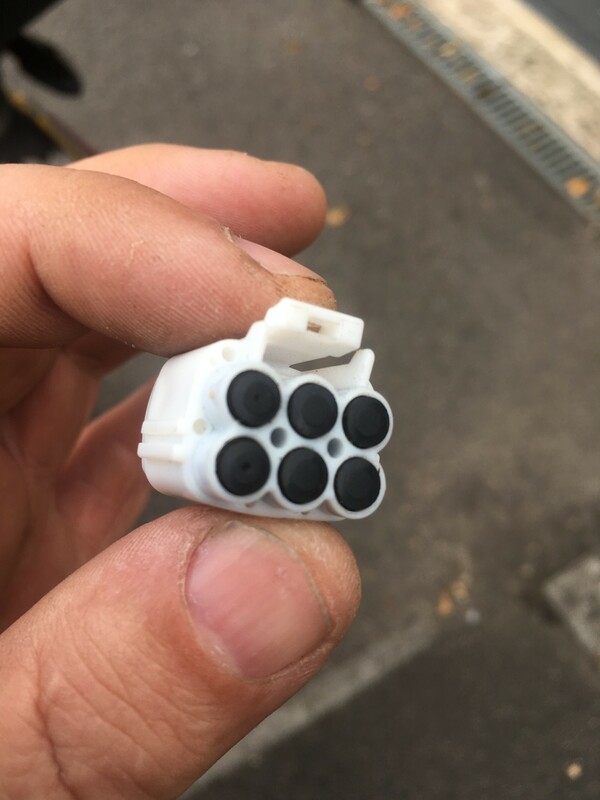 Looks like a waterproof connector. Strange. It's not the best photo TBH and Triumph in the late Handbook list an Under Seat USB Socket as an Option (where fitted!) though for the life of me I can't find any fricking USB sockets listed as an optional extra to purchase, to check out the plug type? If the OP got back to us with some more info/better pictures, that might help. Till then just shooting in the dark for now. The USB socket is the black thing in the top of the photo. I’lll try and get some better photos over the next few days. I can’t find any reference in the manual and there is no reference in any of the accessory fitting instructions that I can find. I’ve asked the dealer and they are none the wiser either. 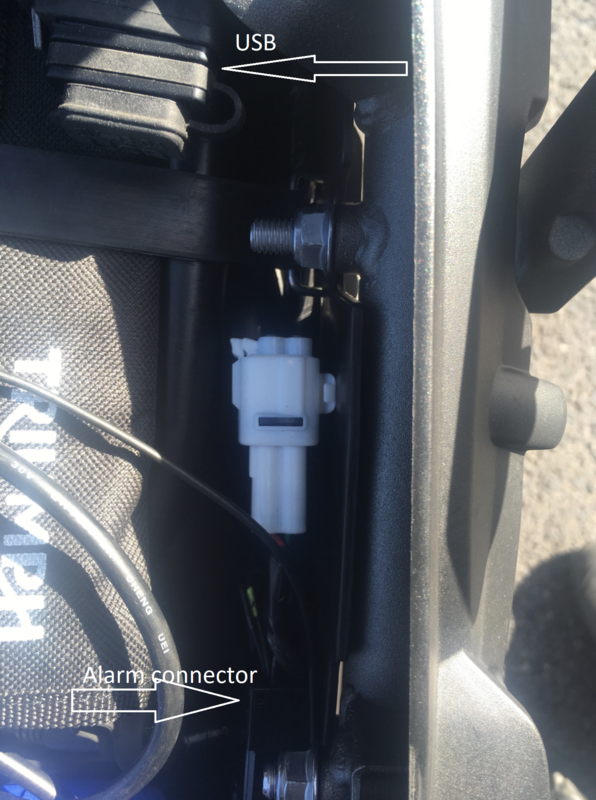 Do you have an alarm (possibly the Triumph/Datatool one) fitted? If so could it be for an accessory loop cable, that integrates into the alarm? Finally got some more (decent) photos of the connector. It clips into the side under the pillion seat. All I have to do now is identify the plug type and wire up the satnav to it for a neat switched live.